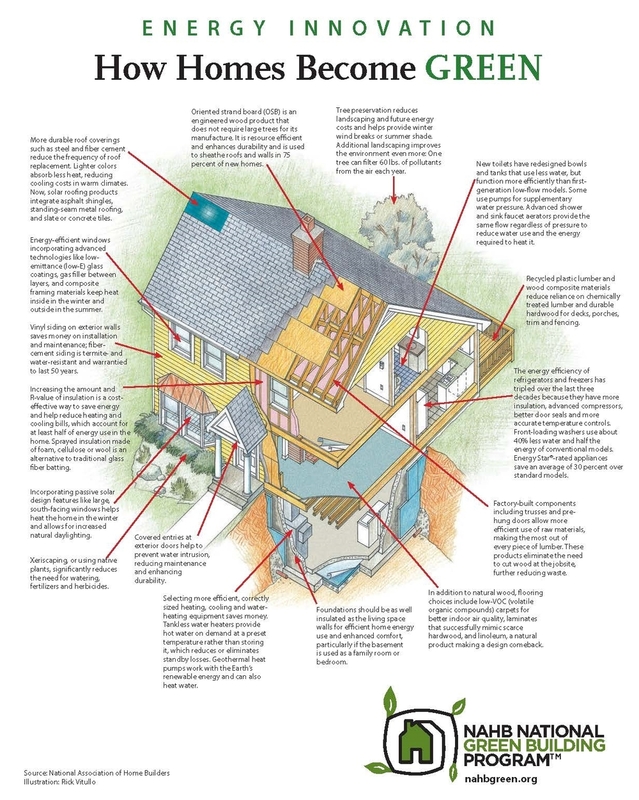 Green Building Concepts Explained — Fasse bldgs. Fasse bldgs. homes are not only "green" or "sustainable," they are NAHB Green certified. NAHB Green is a certification program from the National Association of Home Builders that allows home buyers to easily locate homes that have been built to nationally recognized green building criteria. A green home incorporates energy and water efficient products and practices; is constructed with renewable, recycled and/or more durable materials; and is designed for improved indoor air quality. Green building is a practical response to a variety of issues that affect all of us – including increasing energy prices, waning water resources, and changing weather patterns. Potential benefits can include lower operating costs, reduced maintenance, and lifestyle and health improvements. The renewable, recycled and more efficient building products used in green home construction can help to reduce a home’s impact on the environment and natural resources. Sometimes a picture really is worth a thousand words. This is a graphic created by the NAHB entitled "Energy Innovation: How Homes Become Green." It illustrates a range of green building features and explains several green building concepts.